Hope Summers is one of the most polarizing characters in recent memory. Hope was created as a direct result of Scarlet Witch’s “No More Mutants” decree in House of M. Hope was the first mutant born after House of M, and her birth lead to her being the most hunted being on Earth. 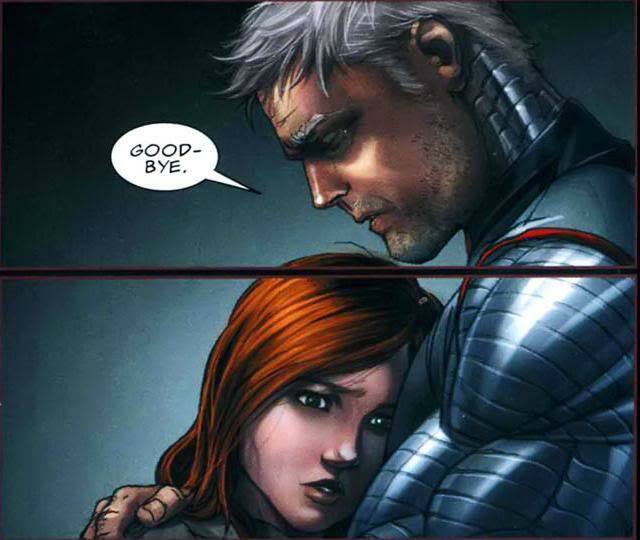 Cable eventually takes her in, and raises her in the future, much like he was raised (more on that soon). All of this leads eventually to Hope’s return to the present, and to the current status quo. This story took place during the Dark Reign uberarc right before Second Coming, in which Norman Osborn took the reins from Tony Stark as the number one cop in the world. Norman has his own secret sect, The Cabal, which includes mutants Namor and Emma Frost amongst its ranks. Norman, in his infinite wisdom (or insanity), decides that the X-Men need to be folded into his ranks. 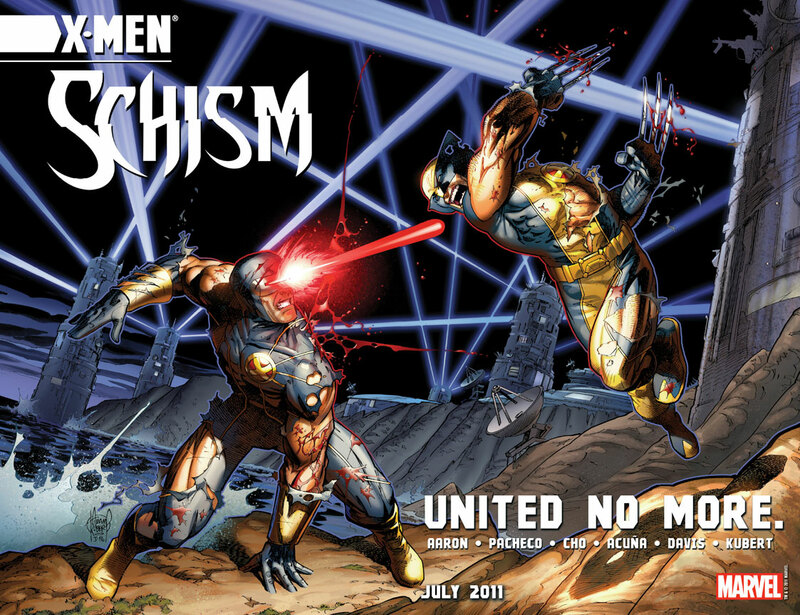 The ensuing battle led to the X-Men all moving onto their own island, from the remnants of Asteroid M.
Schism was the next major event after the Utopia, which saw a split between Cyclops and Wolverine. The split happens over what to do with the mutant children: should they become child soldiers, to defend their own kind (Cyclops’ perspective) or should they be allowed to have full childhoods and grow into being X-Men (Wolverine’s perspective). The split also happens to coincide with the rise of a new menace, the new Hellfire Club, and the X-Books split along the lines. Wolverine takes a large group of the mutant children, along with Iceman, Beast, and others, and founds the Jean Grey School for Gifted Youngsters. The School becomes a refuge for the kids, if you consider having a Karkoa as your grounds and Danger Room pop quizzes at any time a refuge. Jason Aaron made this book a kooky, fun one, but underneath it all is still the underlying threat of those who want to end mutant kind. 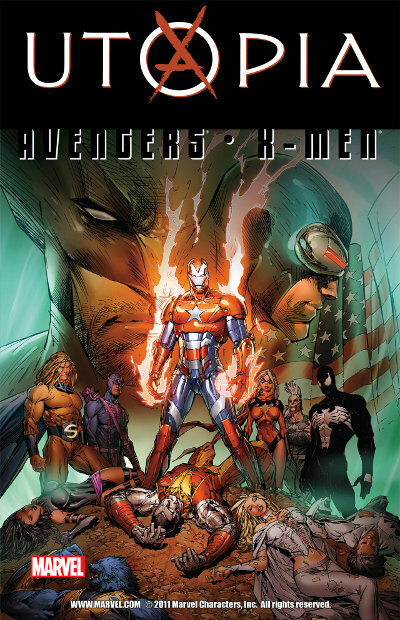 The series continued on past Avengers vs. X-Men, up until this year, when it relaunched. 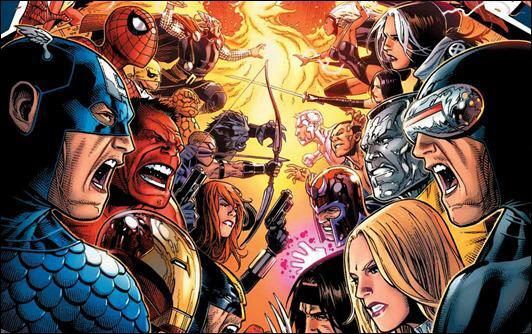 The summer blockbuster of 2012, Avengers vs. X-Men boiled down to one thing: The Phoenix. The cosmic force of death and rebirth was on it’s way to Earth. Captain America, Wolverine, and the Avengers felt like this was an extinction level event. It had to be stopped at all costs. Cyclops and the rest of the X-Men felt like the Phoenix was destined to save the entire mutant race, through it’s newest host: Hope Summers. The battle raged on, and the effects of it led to the Marvel Now! Era that has gone on since then. The series that probably had the most controversy going in, All-New X-Men was Brian Michael Bendis’ first foray as X-Men regular writer. 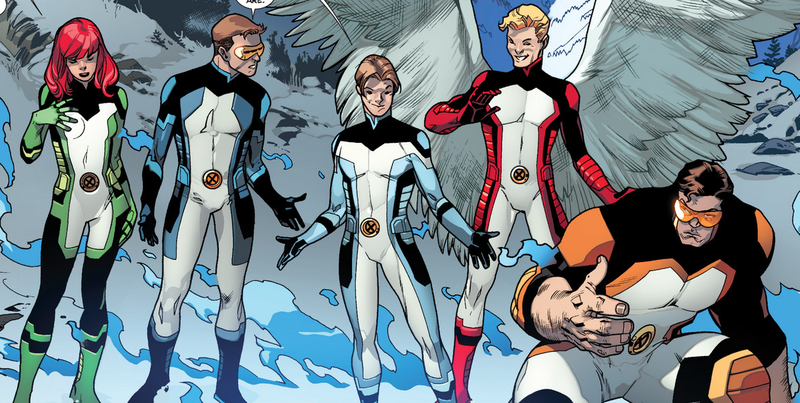 In the series, the original five X-Men: Angel, Iceman, Beast, Cyclops, and Jean Grey are brought into the current day by the Beast of now, to shock current Cyclops into changing his ways, believing that seeing his younger self would make such an impact. The five young mutants end up staying in the current day, and having adventures that boggle the time-obsessed. With no end in sight, the adventures of the original five could have some crazy repercussions for the X-Men of today. 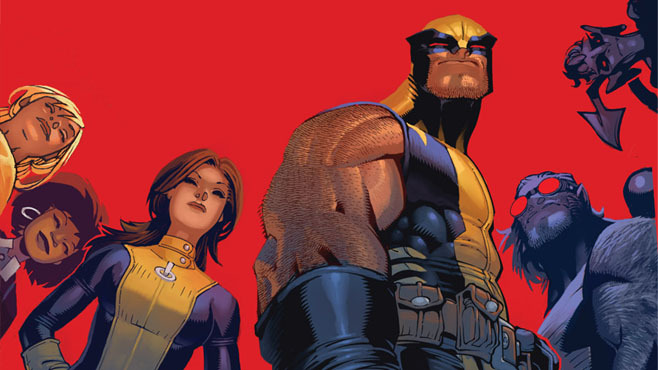 Bendis’ other X-Book — this one focuses on the current day Cyclops and his team. Cyclops is public enemy #1, and now tries to find new mutants as they pop up in the world, and guide them. Cyclops is running a guerrilla movement and a school at the same time, and he still finds himself gaining followers and human fans, but there are still people afraid of him after AvX, and those that want to take him down. Bendis introduces a handful of new mutants, and together, they fight to defend a world that hates and fears them. This series came on a few months after the other two, and focuses on the women of the X-Men, specifically: Jubilee, Storm, Psylocke, Rachael Gray, and a few others. These women not only run the Jean Gray school, they perform international missions of intrigue and danger. The first arc revolves around a longtime X-Foe, Sublime, and his sister Arkea. Written by Brian Wood, this book is very well received, and the cast have a great chemistry. 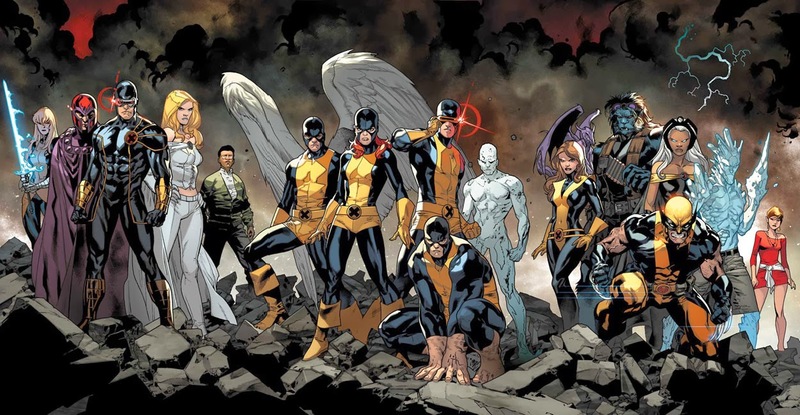 The latest major event in the X-Universe was centered solely on the All-New X-Men. The five kids from the past bumped into their future selves and the collision had some ugly repercussions. As the current X-Men struggled with the question of whether or not to send the founding X-Men back, certain events led to that option being taken off the table. Probably the best X-Event since Hope got back, our new creative circle of Bendis, Wood, and Aaron handled the X-Men masterfully. With the end of the first volume by Jason Aaron, Marvel decided to relaunch into a new direction with Jason Latour. 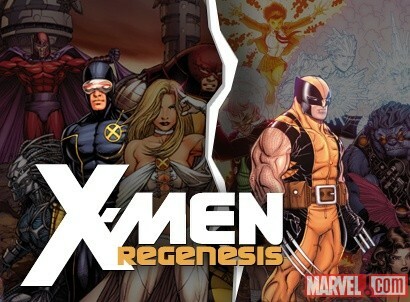 The series is still new, and its opening arc revolves around a certain cosmic entity that reignited the mutant race, and one of Wolverine’s students. The newest addition to the saga of the Jean Gray school has been highly entertaining, and the book is still in my list of perennial reads.